This four-session study explores the questions: "Is Science More or Less True Than the Bible?," "How Old Is the Earth?," "Why Do People Put Jesus and Darwin Fish on Their Cars?," and "Does God Really Care If I Pass Chemistry?" 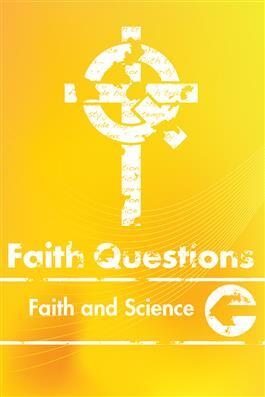 Faith Questions studies are based on faith questions posed by youth. Each session encourages young people to look to Scripture, as well as our faith tradition, in relevant and responsive ways. Intended for older youth, this curriculum is easily adaptable for broadly graded youth programs. The Leader's Guide explores a topic with multiple faith questions. Movie, music, media, and other technologies are suggested throughout the curriculum to supplement the lessons.